Everyone wanted Cat’s life. She had a handsome husband, a stylish home and a fascinating career that took her to some of the world’s most beautiful cities. But something was missing: ironically, it was color. None of the self-help books prepared Cat for the often funny, occasionally puzzling, sometimes sad, but always colorful dating adventures with an international cast of frogs, princes and players. Cat makes the classic female mistake of thinking that love is a life preserver. Until one day she learns to swim. Any Color but Beige is a bright, funny, genuine account of one woman’s search for love in the deep end of the dating pool. Ask for Any Color but Beige at your local book store or library. If they don’t have it, they can order it for you. Catherine Larose is the author of the popular Café Girl Chronicles blog. In her day job, Cat sells color-marketing tools to paint, cosmetic, automotive and textile industries in Europe, Asia, the Americas, Africa and Australia. When she isn’t traveling, Cat enjoys life in Montreal, Canada. 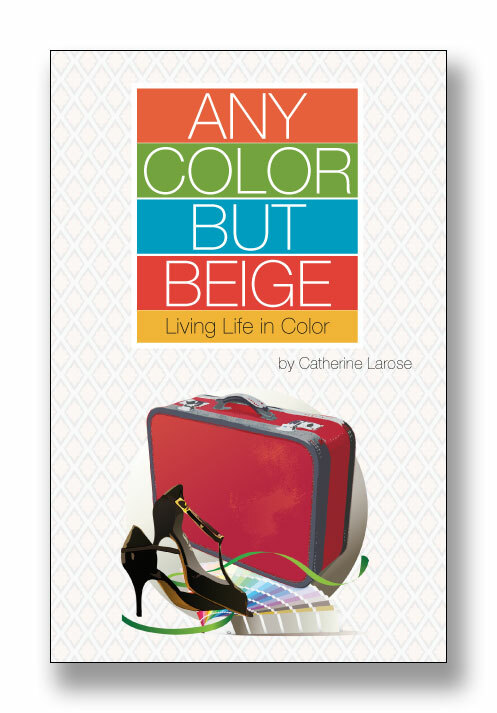 Any Color but Beige is her first book, and she is busy working on two more books that focus on color and its effect on peoples’ lives. Valentine’s Day is history. The roses are starting to droop. The chocolates have been eaten — and turned into cellulite. That makes it a good day to talk about reclaiming your space after losing (or ditching) your ex.